LANSING — The Michigan Senate agreed to grant Gov. Rick Snyder’s plan to revitalize Michigan’s workforce $100 million on Wednesday, upping the House’s $75 million offer last month. Lawmakers voted 30-2 to establish a fund within the state’s Higher Education Student Loan Authority for Snyder’s plan this upcoming fiscal year. Most of the money would be funneled into scholarships, career counseling, teacher grants and career-oriented programs within high schools in order to maintain a pipeline from high school graduation to a job in professional trade, information technology or another high-demand field. The decline of the automotive and manufacturing industry has long put pressure on the state to figure out how it will train future workers to meet the needs of new jobs trickling into Michigan. Supporters of the Marshall Plan say that means training some students in technical and trade skills in lieu of only promoting a traditional K-12 education followed by a two- or four-year degree. The legislation drew praise from both sides of the aisle during the Senate vote and now heads to the House, which last month reduced Snyder’s $100-million goal by 25 percent in its budget. 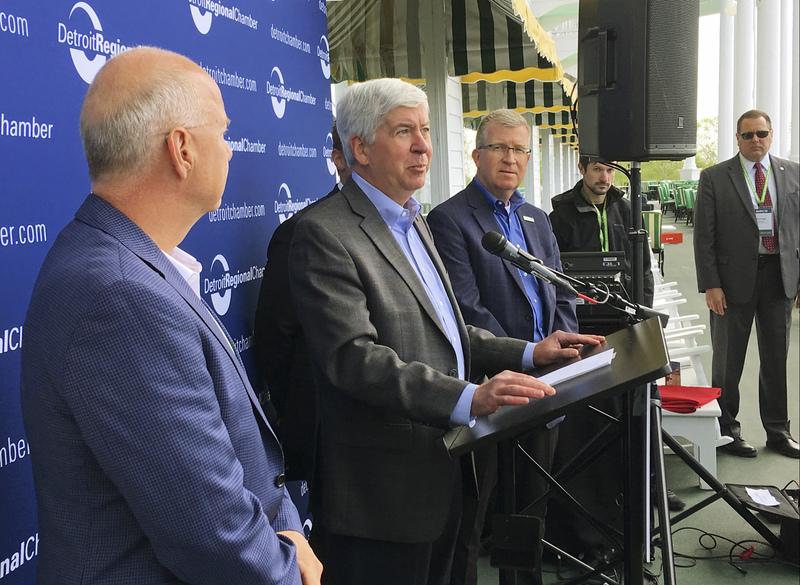 Snyder, a term-limited Republican, has made the Marshall Plan his top priority during his final year leading a state that has seen a steadily deflating talent pool since the Great Recession. More than 800,000 openings are estimated to emerge by 2024. But much of Michigan’s workforce remains ill-equipped to veer from the traditional industrial job path — a factor many believe resulted in Amazon’s decision in January to pass over Detroit and Grand Rapids as a potential location for its second headquarters.